IVAN OKUDA: Do all lives matter? Who will speak out for the ‘SMALL’ people? 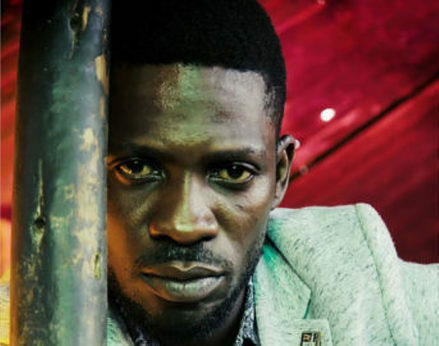 KAMPALA – Musician and MP Mr Robert Kyagulanyi aka Bobi Wine continues, as does MP Zaake, to wallow in pain after they were beastly butchered by Uganda’s perennially rascal security agencies. Libraries of ink have been written about everything wrong with what happened. Personally what I find shocking and disappointing is the President’s unwritten approval, condoning and abetting of this barefaced criminality. In all his statements on the Arua election, the president has neither expressed remorse, empathized with families of victims nor promised to take action on his officers who undoubtedly acted with more force than was necessary from the facts emerging. This isn’t so surprising especially seeing how Mr Museveni loves to chest thump after every murderous episode as we saw with Kasese, Kayunga, Walk to Work, the war in the North and East wherein the army admittedly committed gross violations of human rights of civilians. That mistakes may have been made isn’t a matter of concern for the Old Man with the hat. Perhaps, the president is happy with the actions of his officers which in a country of violent politics achieve the shock doctrine mission of scaring lesser people from taking on the state while also breaking the spirit of rising stars like Bobi. In his calculation, the cost of bad publicity measured against the long-term aim of beating opponents to submission while sending a message to their followers is bearable. After all, he has previously hailed the NRM as masters of violence. For a regime that got power through violence and hasn’t been shy to apply doses of the same to maintain a grip on power, forcefulness is a time-tested method. Students of Uganda’s political and constitutional history will appreciate that the character of the Ugandan state and its attitude towards opposition hasn’t fundamentally changed right from colonial time. This perhaps calls for a deeper study of the evolution of Ugandan, nay, post-colonial African state. That is beside the point though. It’s humbling that Ugandans across the political divide have voiced their concern and demanded fair treatment of the two MPs. I am intrigued though by the continuance of the trend of silence, oh dear, sorry, I meant less concern, about the plight of ‘SMALL’ people who become collateral damage in these episodes of violent political processes. My acquaintance the indomitable Mr Higenyi Kemba of the Uganda People’s Congress this week brought to our attention the plight of women and men who are rotting away in West Nile. They were among those battered by security officers. One reportedly is in dire need of surgery. Except for a few mentions in the media, none of these people has got the kind of attention the two MPs received. Understandably so, though. No hashtag. No mention on the big radio and TV talk shows in Kampala. No parliament suspended to establish their condition. No Prime Minister statement on their fate. No twitter and Facebook campaign. Just a mention in passing in our news pages. No headline. Therein lies the crisis of our society. A society where the house of justice has private wings, VIP rooms and commoner sections. Of course, we don’t expect everyone to get the same attention for the world isn’t equal or even fair but I dare say we fall short of the bare minimum when it comes to the ‘SMALL’ people. A few anecdotes will suffice. A few years ago, a source in the FDC got me rare access to Ndolo Military Prison in DR. Congo where activist Sam Mugumya is to this day detained without charge. We did the interview that got published in Sunday Monitor. Sam, however, is one of the most selfless people of our generation. He, at the end of the interview, requested that I look into the situation of other Ugandans detained with him because the media and NGOs were speaking about his issue as though it was an isolated case. I asked him to compile names and get a little more detail. He did. We published a story, “37 Ugandans rot away in Congo jail.” That is almost the most a journalist can do. There hasn’t been mention of the plight of these Ugandans, many of them Baganda Muslims. They continue to languish in Congo. Some have been there for 6 years. Before Sam was detained there these Ugandans had spent up to three years in the military facility. Not FDC, not the media, not our human rights NGOs, not our diplomatic officers had, at least in public, raised voice. Sam’s arrest attracted media attention, key opposition figures matching to the DRC embassy in Kampala and constant efforts in and out of Uganda to secure him. The other 37 Ugandans, who had no name recognition, weren’t as lucky. Who, I ask, will speak out for people like those? Who will start a Twitter campaign for them? Oops! Tweets about them won’t attract 1,200 retweets. A tweet about Sam will. An effort to fight for the rights of these 37 Ugandans won’t get you a media mention or catch the eye of the donor. If you are a journalist, perhaps, their story won’t get you a headline. Sam’s story will. If you are Uganda’s Ambassador to Congo, visiting these 37 Ugandans won’t catch the eye of Amnesty International. Visiting Sam will. He is a recognizable quantity. Therein, lies the moral crisis of our society. Does every life matter? For the tens of days, I camped in Soroti speaking to people, I touched, felt and smelt the monster of injustice inbuilt in our society. There was a high profile family which met the president to discuss the murder of their elderly mother. We in the media gave the case attention. Human rights lawyers did their best to get justice. Uganda Human Rights Commission made visits to the family. NGOs too. Then reality dawned. The reality of ‘SMALL’ people. There were families that had more scary tales of injustice, murders with impunity and state officials covering up or even involved. None of them had caught the attention of the president, media, NGOs. Yes, no Twitter campaign for them. No hashtag. No ‘Free Okello’ tee shirts. No mention in the inside pages of our papers. Who, I dare ask, will speak out and act for these people, the ‘SMALL’ people? Does every life matter? I could give 1993 more examples but these drive the point home. And so, as I listen to our talk shows, retweet tweets and imbibe passion on Facebook about our beloved MPs paying the price of third world politics of violence, my heart and mind go out to the ‘SMALL’ people who aren’t part of this conversation. That woman, mother, sister, aunt, spouse to someone who was reportedly was bleeding from her private regions while in court in Gulu or the young man Mr. Kemba reports, has a bullet lodged in his body. Or the orphans of Bobi’s driver and their widowed mother who won’t be lucky to have Bishops, ‘social media influencers’, NGOs, lawyers, journalists and MPs speaking about justice for them. The many who have suffered the brunt of injustice with no one to talk to, no one to profile their plight are an indictment on us, as a society. I must, as a matter of disclaimer though, hasten to add that I know a few people in our media, NGO, human rights law and even government who will do anything possible, and do so whenever duty to humanity calls, to extend a hand to our ‘SMALL’ people. Maria Burnett at Human Rights Watch, my mentor and friend Mr. Rwakafuuzi, nduggu Nich Opiyo, the golden-hearted Jackie Asiimwe, Eunice Musiime, Andrew Karamagi, Eron Kiiza, police officers like Mr. Asan Kasingye, my colleagues Stephen Kafeero, Abubaker Lubowa at Monitor and so many others who have their hearts in the right place and recognize that all lives matter, and each day, in the course of their jobs, try to do something, however small, to make a difference. Thing though is, the culture of our media, NGOs, human rights law practice, opposition politicians, social media campaigns, is constructed around recognizable quantities. The ‘SMALL’ people, by and large, are out on their own, living like birds in space, lucky to get a tree to perch on when dawn strikes. Does every life matter? Let’s look in the mirror. There lies the answer.